We were happy to get these rather rare palm stones - and what super stones they are - and how very Art Deco looking ! 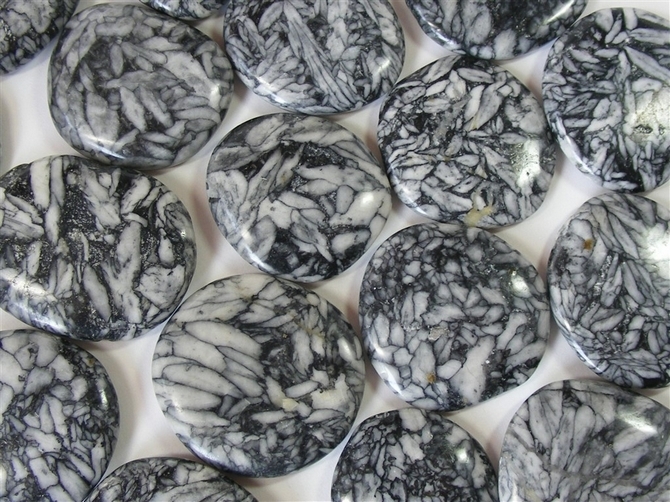 This timeless looking black and white stone from Austria is a mix of Dolomite and Magnesite. It is fairly new to the crystal healing world and there is not much information out there just yet. They are however, strangely addictive, you feel like you just have to keep on looking at them !! 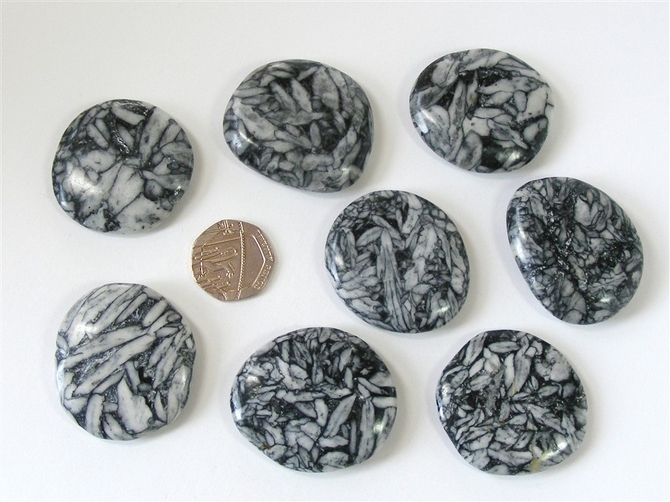 The size and shape of each one varies but most are 40mm x 40mm and they weigh approx. 22grms each. Pinolith is a fairly new crystal to the healing community and not much has been written about it yet. It is believed that it can help with detoxifying and purifying the body and that it may also help with treating both teeth and bone disorders. Pinolith is thought to instil within us a much more positive attitude to life. It helps us to love ourselves and to love other people too. Pinolith is a calming, soothing, serene, stress relieving stone, helping to ease feelings of hurt, loneliness, sorrow and anxiety. Pinolith shows us that life itself is a spiritual experience. We don't need to see miracles every day to appreciate the sense of spirituality that even the mundane things in life have to offer us.